Alfie’s Barn in Ambrosden, Oxfordshire sleeps 5 people. This lovely 18th-century property is in an excellent position for exploring this historic and fascinating area. This converted detached barn sits within a quiet rural village location within the owner’s grounds, with great views across open countryside, located within the heart of Oxfordshire. Only 3 miles from Bicester and 12 miles from Oxford with a great train service to London, Birmingham and Stratford upon Avon. Pub 250 yards. Beamed living room with wood-burning stove and oak wooden floor. Large kitchen/dining-room with terracotta tiled floor and French doors. Beamed double bedroom with en-suite shower room/W.C. Twin-bedded room with exposed stone walls. Single bedroom with oak wooden floor. Bathroom/W.C. with shower attachment and stone tiled floor. For a better idea of where Alfie’s Barn is, you can see Alfie’s Barn on the map below. Alfie’s Barn is in Oxfordshire; should you be on the lookout for a special offer, you can find all the special offers in Oxfordshire. It's always worth checking to see what is on offer at the moment. 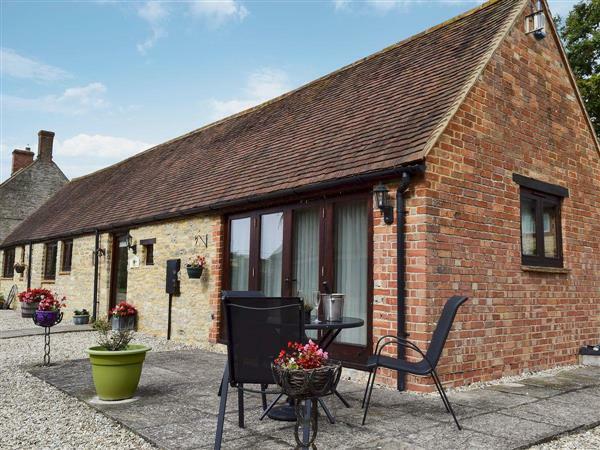 Do you want to holiday near Alfie’s Barn (NKU), you can see other cottages within 25 miles of Alfie’s Barn; have a look to find your perfect holiday location.